The GE430 cabinet is a practical solution for keeping to hand essential items during the night. The slightly raised raised sides avoid items slipping off the cabinet top when reached for in the dark and illustrates Wegner’s practical thinking of how the cabinet will be used in practice. The useful shelf provides the perfect place for storing books or magazines for bed time reading. 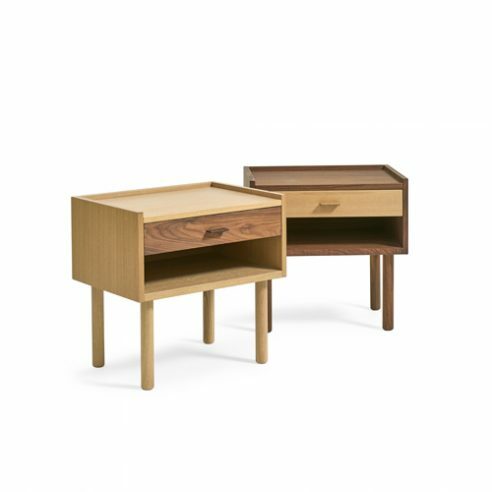 The Ge430 is available in oak or walnut in with a lacquered or oiled finish.